Want to sell something large on E-bay? How about a doll house, guitar, television, computer, meat-slicer, pizza oven or car door and don’t know how to get it from here to there? We do. These are a few samples of large and awkward items that we have custom packed and shipped. 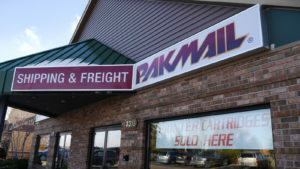 At Pak Mail Traverse City, we want to open the possibilities to ship anything, anywhere.